Checkbox’s reporting tool allows you to create multi-source report items to compare multiple questions side-by-side. 1. 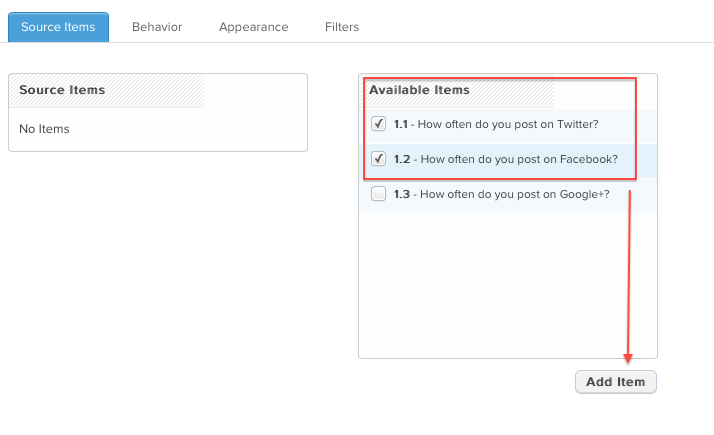 Create a custom item in your report. Bar, Column, and Line graphs work best visually for comparing survey questions. 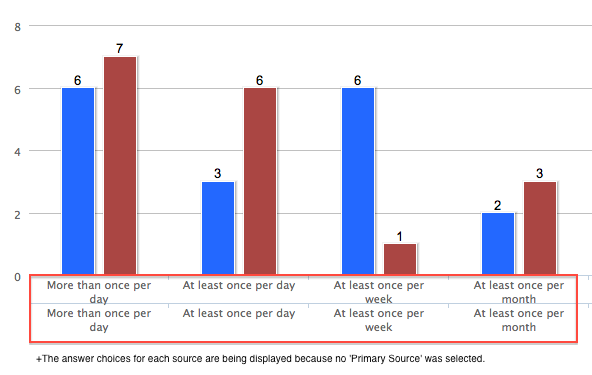 In this example, we selected Column graph as our chart type. 2. In the “Source Items” tab of the item editor, select two or more questions from the box on the right and click the “Add Item” button. This will move them into the box on the left. Note: Make sure you are comparing two questions with the same number of answer choices. 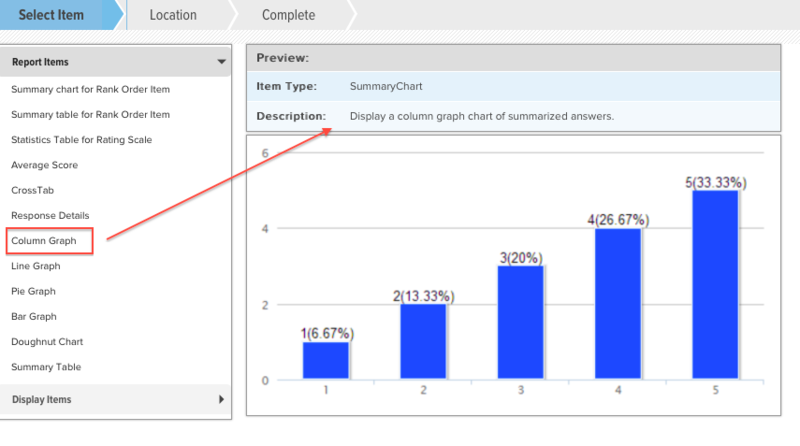 In fact, multi-source charts work best when the answer options for each question are the same. 3. 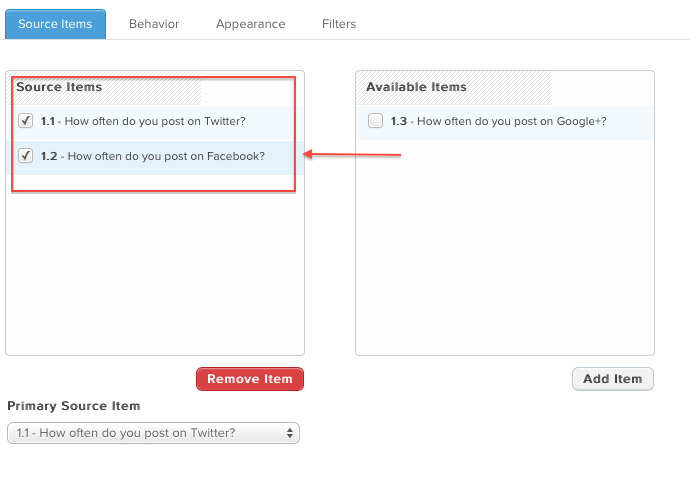 Before exiting this tab, select a “Primary Source” from the drop-down at the bottom of the dialog. The “Primary Source” you choose will determine which answer choices appear on the x-axis of the graph. If you do not select a “Primary Source”, both sets of answer choices will appear. In this example, since both of our questions have identical answer choices it doesn’t matter which source question we select as the “Primary Source”. 4. 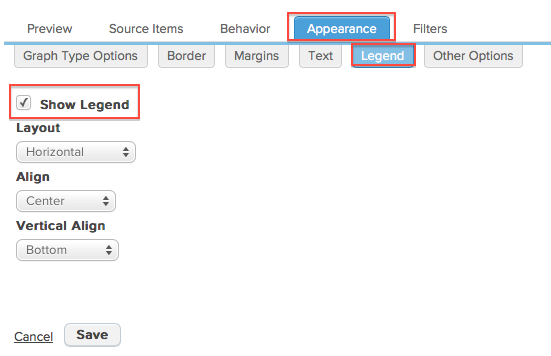 To show the chart legend, go to “Appearance” >> “Legend” in the item editor. Then select “Show Legend”. 5. Run your report and adjust additional appearance options, such as margins and font sizes, within the “Appearance” tab in the item editor. You can toggle between sources by clicking each question in the legend.